I hope you have had a lovely weekend? Are you following a gluten-free diet? 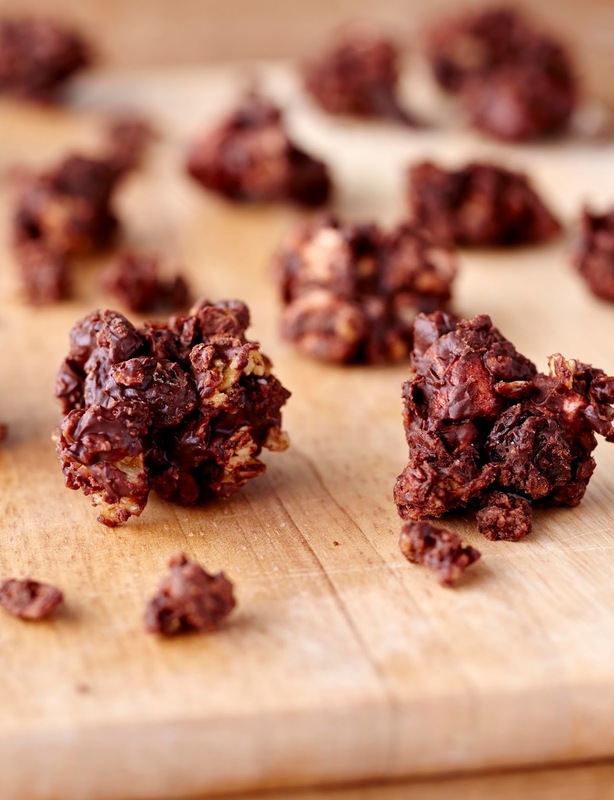 Gluten-Free Chocolate and Peanut Butter Rocky Road Clusters. These delicious chocolate-y clusters are perfect for snacking – whether you’re on the go, at your desk or simply snoozing on the sofa, these Rocky Road bites are a wonderfully indulgent treat! Melt your chocolate – either by microwaving in a bowl on full power for 90 seconds, or in a glass bowl over a saucepan of boiling water. Once melted, take your bowl off the heat (or out of the microwave!) and add the peanut butter. Mix well until they are both thoroughly combined. Pour your granola, marshmallows and raisins into the wet ingredients and mix until all the dry ingredients are well coated. Put your mixture onto a tray and refrigerate for at least 45 minutes. Once the mixture has set, break it into pieces and enjoy! 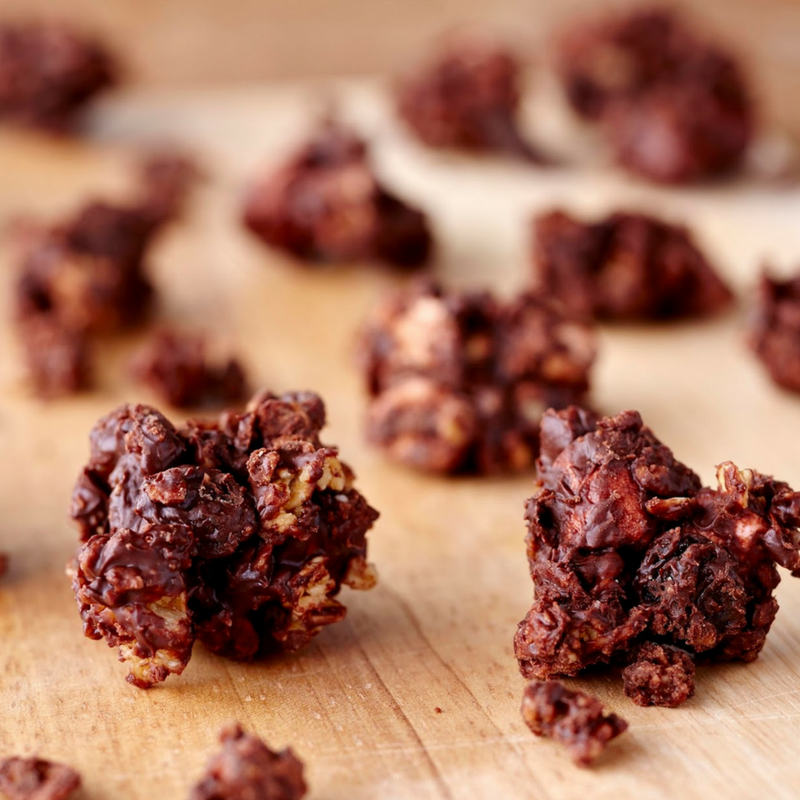 What do you think of these Gluten Free Chocolate and Peanut Butter Rocky Road Clusters? One of my all-time favourite treats is Millionaires Shortbread. My Grandma used to make it me every Birthday, Christmas, Easter or just as a special treat because she knew how much I loved it. Brazillionaires Shortbread. You might also like some of these Gluten Free recipes. Let us know in the comments below if you get to try any of these recipes. "Indy Power’s Chorizo Bean Stew…"